When I heard Warm Bodies, the novel by Isaac Marion, was being made into a movie, I thought to myself, “Well, that’ll be a fun adaptation.” After screening this weekend’s box office champ, indeed it appears as though the filmmakers had a ball playing with the brain-eating narrative. Warm Bodies follows the adventures and innermost thoughts of R, played by the talented Nicholas Hoult, a teenage zombie who thinks quite a lot about the great philosophical questions about life: why are we here, how did this happen, and what’s for dinner? R lives among a colony of fellow zombies in an abandoned airport with some grim devils called Bonies. Bonies are the not so nice version of zombies. Yes, that means that in this world there are nice zombies! As we learn from R’s informative voice-over, the zombie condition arose about six years earlier due to some unknown turn of events and resulted in the surviving humans building a massive wall around what remained of their city. Zombies wander out occasionally to prey on any stray people outside of the great wall. On one such outing for food, R encounters Julie, a beautiful blond human with grit. Quite to his surprise, R falls immediately in love, taking her into his care and protecting her from his fellow undead. Unfortunately for Julie’s boyfriend, R does not fall in love with him and he ends up as R’s meal. After a brief getting-to-know-you period, Julie warms to R’s eclectic style and great taste in music. Who knew zombies liked vinyl better than mp3s? The story continues as Julie and R work out what their blossoming friendship could mean for each other and for the human-zombie state of affairs everywhere. This tale is loosely based on Romeo and Juliette, and as such Warm Bodies feels very familiar and easy to digest. Speaking of digesting, one of the best things about eating a brain is the delightful experience of reliving the owner’s memories! I know, it’s a little gross, but for a zombie movie Warm Bodies does have some heart, some humor, and a pretty optimistic message. If such a thing is possible, I think Warm Bodies might qualify as a comedy-horror date night movie. Nicholas Hoult does a fine job of being the rotting lead, and relative unknown Teresa Palmer brings the perfect balance of fight and compassion to Julie. Supporting cast members Rob Corddry, of The Daily Show fame, and John Malkovich, of being awesome fame, are unfortunately not tapped as much as I think they could have been. Both of these men could have brought another layer of quirkiness to the screen; instead, they paled as background characters in Warm Bodies. 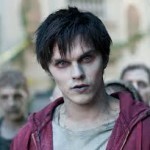 Aside from that particular misuse of cast, Warm Bodies offers a colorful take on the romantic notions of a young zombie. The music is perfectly applied throughout, the performances are entertaining, and the humor is not forced. I enjoyed this romp, and as long as you’re not looking for esoteric genius, you might, too. It is without a doubt aimed at teenagers, but compared to Twilight, Warm Bodies has about two dozen more facial expressions and better performed emotions (and I’m still talking zombies here). So yep, this is definitely genre restrictive in terms of taste, though I think it would be a fun rental if you ever want a little supernatural-post-apocalypse-relationship-type movie somewhere down the road. Thank you Miranda for watching this movie. There is no way I would. Yeah, this had “lame teenage chick-flick” written all over it. I don’t know which I’d rather use for torture, something like this or any of the Twilight stuff. Still, if that’s the market and they are successful, more power to them! Great review, but I do not think I am the target audience of this one.